We are a certified and international team of experienced native speakers and can ensure optimal quality and qualified translations for every requirement – for industry, trade, services and the public sector. We offer you secure communication in all areas of your company. You are ideally equipped for international meetings, conferences or lectures with our interpreting service. Perfect your international communication. Whether it’s company brochures, operating instructions, presentations or loss reports: each field and each means of communication has its own special terminology. Whether you want a Chinese brochure, a presentation in Cyrillic script or a business report in Latvian: highest precision is required when typesetting. Quality through experienced native speakers. We only want to offer you high-quality translations. To guarantee this, EUROTEXT Fachübersetzungen GmbH works with a quality management system (QMS) in accordance with ISO 9001. Our language experts have many years of professional experience and are trained specially for your particular field. Translations demand the greatest precision. That is why we use only qualified native speakers for you. We have years of experience in translating almost every language in the world. We ensure success for your project with routine and stylistic sensitivity. We are certified in accordance with ISO 9001 and are additionally registered in accordance with DIN EN ISO 17100. For you this means: the highest translation quality from A-Z. We deliver quickly and on time – even within 24 hours upon request. And confidentiality is a matter of course for us. Thanks to our network structure and our terminology databases, we work particularly cost-efficiently – to your benefit. Wide selection of languages. 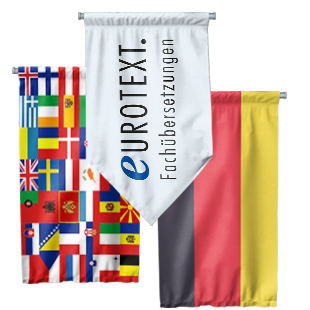 We are happy to recommend EUROTEXT Fachübersetzungen GmbH. Flexible interpreters with excellent service. Many thanks! We have been working together for many years and are very satisfied. Reliable and low cost. Communication is always friendly as well. Very pleasant contact partners and optimal results. Will definitely come back. Fast working and convincingly good language quality.